Elizabeth Jane Demeau was born about 1862 in Quebec, Canada. Elizabeth Jane Demeau was the daughter of John Demeau and Isabella Mann. 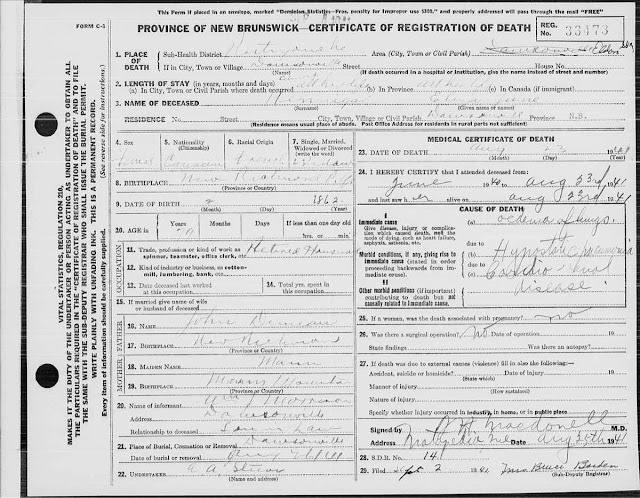 Elizabeth Jane Demeau married James Lawrence Hennigar around 1882 likely in New Brunswick, Canada. 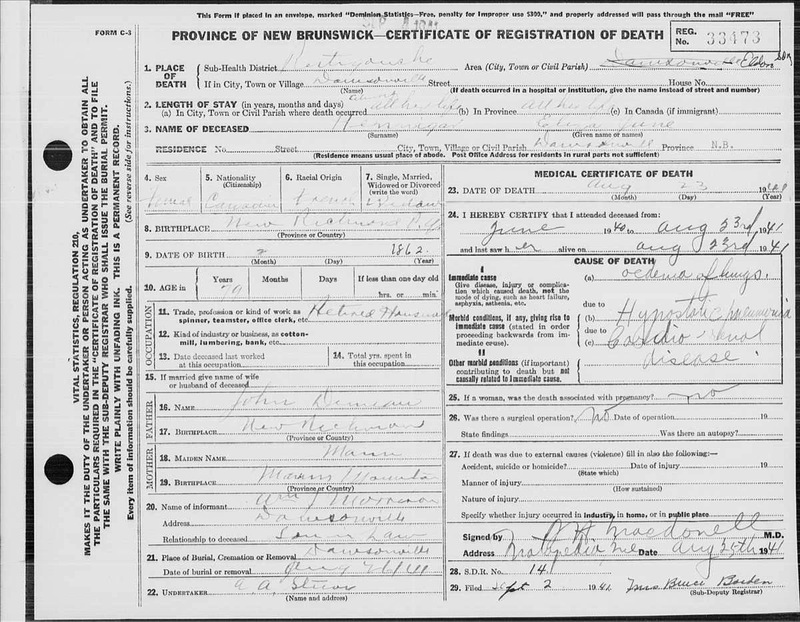 Elizabeth died 23 Aug 1914 in New Brunswick, Canada.